Lucky for us, Chickasaw Press landed on our radar thanks to Multicultural Children’s Book Day 2019. The first of Chickasaw’s many wonderful books that we reviewed on JIAB was the advanced diverse chapter book, Chula Fox. Read the full review of this book here. NOW, we are setting our sites on another diverse book from Chickasaw Press: Mission to Space. Blast off into space with Chickasaw astronaut Commander John Herrington in his new children’s book Mission to Space. In the book, Herrington shares his passion for space travel and provides a glimpse into his astronaut training and mission to the International Space Station. The book includes an English to Chickasaw vocabulary list with space-related terms. John Herrington holds the distinction of being the first enrolled member of a Native American tribe to fly in space. An active and dedicated citizen of the Chickasaw Nation, he was inducted into the Chickasaw Hall of Fame in 2002. Since his space flight, he has led efforts to broaden public awareness of the importance of space travel and has worked to increase interest and opportunities in math and science education among Native American children and youth. He earned a doctorate in education from the University of Idaho in 2014. Herrington was born in Wetumka, Oklahoma, and became the first registered member of a Native American tribe in space in 2002 during a mission to the International Space Station. He spent 330 hours in space on STS-113 aboard the Space Shuttle Endeavour, including 19 hours and 55 minutes in spacewalks attaching a strut to the space station. He has been encouraging Native American youth to pursue higher education for more than a decade and recently earned a doctorate in education from the University of Idaho. In addition to speaking events, he rode a bicycle more than 4,000 miles across the U.S. to bring attention to the need for Native American youth to pursue an education in science, technology, engineering and mathematics (STEM) fields. In 2015, he joined First Lady Michelle Obama, Secretary of Interior Sally Jewell, Secretary of Health and Human Services Sylvia Burwell, U.S. Attorney General Loretta Lynch and other high-level officials to speak at the first-ever White House Tribal Youth Gathering in Washington, D.C.
Herrington is also a citizen of the Chickasaw Nation. He was inducted into the Chickasaw Nation Hall of Fame in 2002. Since his space flight, he has led efforts to broaden public awareness of the importance of space travel and has worked to increase interest and opportunities in math and science education among Native American children and youth. Grab your copy of Mission to Space. on Chickasaw Press’ website or on Amazon. Ready for your own space adventure? Moon landings and space travel are simply fascinating! Check out our Moon Landing booklist that we pulled together back in 2013! 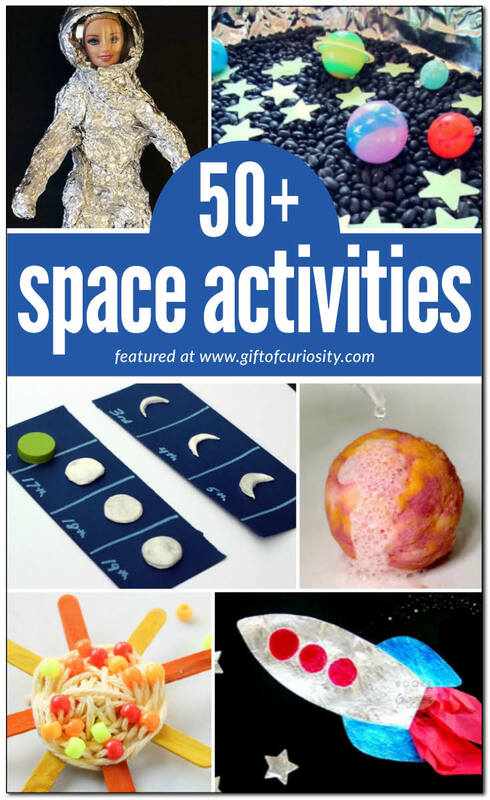 Katie @ Gift of Curiosity has 50+ awesome space activities for kids to learn about the planets, the sun, the moon, stars, constellations, astronauts, space travel and more! Nothing makes youngsters hungrier than experiencing space travel! We love this idea of incorporating sweets with healthy treats to help our little astronauts back in action!